Recently we had the opportunity to visit The Wilds again; this time as a field trip with our co-op. We did one of their educational tours with behind-the-scenes activities, and with it being a nearly a 3 hour drive one way, it was an all day thing - but it was fun! We started with the hellbenders, or the "hellabenders" as my three year old called them. They talked to our group about the animal's habits, and their conservation efforts, then let the kids have a Q&A session. We didn't get a good look at the rhinos last time we went, but this time, there was one crossing in front of our bus. Later we got a "behind the scenes" tour of the rhino's indoor/winter facility. 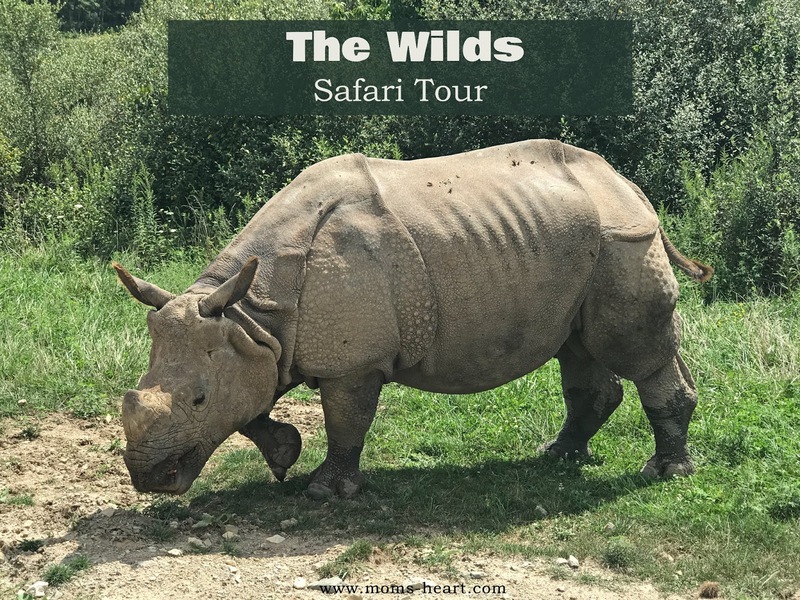 The guy that led the talk has been with The Wilds for 35 years, I believe is what she said, and he talked about their care and their rhino breeding program. They have four rhino calves, but they were out in the pasture, and we could only see them from a distance. Of course, we saw plenty of exotic animals throughout the drive - Sichuan Takin from China. I couldn't get a decent picture of the little ones back in the brush. The Przewalsky's Wild Horse is a wild horse that is not known to have ever been tamed/domesticated. The Zebras are always a hit with the kids. There is a mid-size carnivore area that we viewed at lunch. Because they are carnivores, there is more fencing and it's harder to see the animals. They have African Painted Dogs, Dholes and Cheetahs. They said the cheetahs at the zoo are trained to run, but their cheetahs are particularly lazy. The have different varieties of deer and antelope (I think this one was called common eland) and just like the last tour, the driver gives off facts about all the original habitats, their endangered status, and the conservation efforts of The Wilds. Before our trip, there was a little video going around Facebook of the baby giraffe born at The Wilds. You can see it resting here, but we also got to see it running around playing! Eloise was a little excited about the camels too. We've been watching their show on Hulu and she gets excited every time she sees the camels! It was apparently a tiring trip . . .
Elliott - Dhole - no particular reason, other than that he liked the name. Eleanor - African Painted Dog, because they take care of the sick and let them eat first. Emory - All of them! The driver mentioned that they have a show on National Geographic, which interested Emory. After some digging, I found that The Columbus Zoo and The Wilds are featured in a series called Secrets of the Zoo, on National Geographic WILD. The kids have enjoyed watching episodes! Our previous field trip to The Wilds. Eloise decided she wanted to climb trees. She climbed the apple trees and started throwing apples. She thought she was hilarious! These sweet moments, the fun, the laughter . . .
As a homeschool parent, I think it is important to continuously educate myself. Now, I don't mean a rush and learn everything there is to know before I have to teach it to my kids type education. Surely it is important to continue learning about the world in which we live, but I also mean educating myself as someone who wants to continue to grow and evolve as a homeschool parent. I want to fill my mind with new ideas - new food for thought. I want to find ways to motivate and inspire myself as a homeschooler and as a parent. Since I love to read, I am always open to reviewing books that can help me in this journey. Recently the crew reviewed the book God Schooling: How God Intended Children to Learn. Written by Julie Polanco, a parent of four with nearly fifteen years of homeschooling under her belt, God Schooling claims to be "The Guide for Homeschool Parents." Polanco begins by explaining how her struggles in the early years of homeschooling eventually led to natural learning. I wasn't sure how I would relate to a book on unschooling, because although I have always been intrigued by the idea, we certainly aren't unschoolers. However, I found the focus of the book seems not to be about unschooling itself, but rather on encouraging homeschool parents to help their children find their God-given talents and strengths, and to nourish their hearts and minds in new ways. Her way happens to be natural learning. She focuses on the reasons for choosing a natural learning lifestyle, and how it benefits children at each stage of development. Scattered throughout the book, you will find multiple scripture references and quotes from experts in child development, psychology, neuroscience, and education - all that support natural learning. Chapters 1 and 2 focus on what the Bible says about parenting and educating children, and how motivation and excellence are not bound by traditional schooling methods - and in fact are often hindered by traditional school models. There is much discussion about breaking free from external motivators (grades, trivial rewards, punishment) and allowing the child to find their own intrinsic motivations. This was an important read for me, because I do struggle with wanting to "encourage" or "motivate" my children to try harder, to do better, to react differently to things I have planned. The rest of the book walks us through the more practical side of educating children naturally. She begins with a chapter for each different stage of childhood. First she focuses on children under eight, and their need for play and non-academic learning endeavors. The section on children eight to twelve years old discusses how to transition them into service and entrepreneurship, which can be powerful intrinsic motivators. I wasn't sure what I could take away from a chapter on teenagers, then I reminded myself that my oldest is actually a middle schooler this year, which means youth groups and middle/high school gatherings, and he will quickly be a teenager. Thinking about how teen culture affects children, but specifically homeschoolers, who often live a little outside the pop culture bubble, was eye-opening. There was also a lot of information about college, as well as non-traditional paths such as junior colleges, apprenticeships and other post-high school options. The last couple of chapters focus on identifying your child's specific learning personality (with an interesting analogy of child eating habits), and record-keeping ideas. The book wraps up with a few concluding remarks. Following each chapter is a page of Study Questions. These are open-ended, thought provoking questions to help you take a deeper look at your homeschool and your children. I think the author is open and honest with her struggles as a homeschooling parent, and that is refreshing. Some books are touted as uplifting and encouraging, but never truly share the day to day struggles or the difficult moments that lead them to the transitional point of asking God to change their hearts. Julie doesn't sugarcoat her backstory, and she doesn't make you think the entire journey after she started changing her approach was all rainbows and sunshine either. She shares the continued fears and struggles, and you know she is a real person. I liked that she included not just scriptural references to back up her beliefs, but she also shares interesting quotes from various childhood and educational experts, and I plan to reference her bibliography for continued reading. One thing I noticed though, in the chapter on children under eight, there was a section titled "So What Do We Do All Day" in which she gives ideas for what parents can do with their children during the preschool and early elementary years. She quotes Charlotte Mason several times in the book, but here she just references Charlotte Mason's well-known list of attainments for children of six. As she mentions several of the attainments, she makes sure to comment that some are disputable. I did wonder why, instead of just listing her own ideas, she would use a list from another philosophy of which she doesn't seem to specifically align herself, and then practically disagree with parts of it. I can't say that she misrepresented the list, but I can see how it could easily be misinterpreted, especially by someone not familiar with Mason's methods or the formidable list of attainments. Although I could debate how the list is portrayed, that was not the actual focus of the book. However, it does make me question how the other quotes throughout the book are presented, compared to their original context, since I haven't read all of the books she cites. I guess that falls under the idea that with any book of this nature (parenting/homeschooling), there will always be things I both agree and disagree with. Though I personally found myself agreeing with many of the reasons she unschools and was convicted by many of her points, I sometimes felt the tone a little aggressive. The book itself is usually very conversational, but particularly when she was talking about public school, it felt like we moved into a lecture of "my method vs. everything else" instead of being the same book that was just encouraging open-mindedness and accepting God's plans for your family. If I felt that way, I can only imagine that other readers, namely those who use curriculum or follow traditional educational models, are going to find it off-putting. 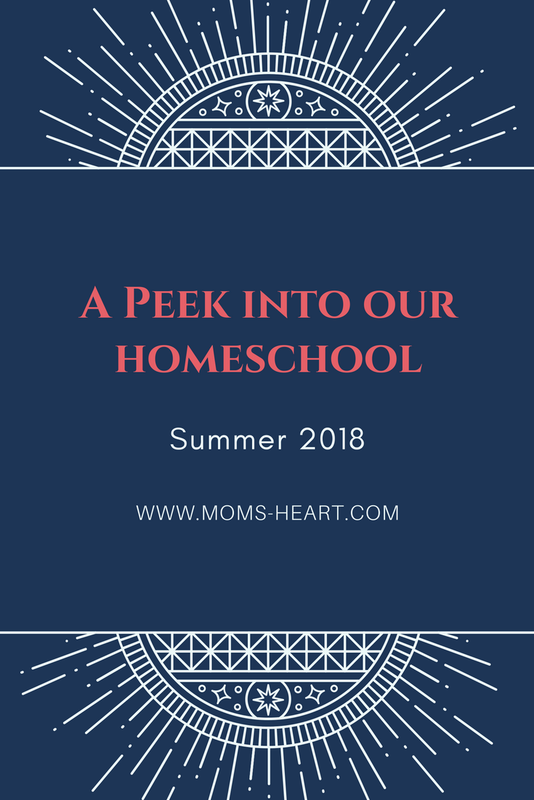 I will also say, that although it is easy to see how Julie was called to unschooling and how she found support in the Bible, I think it's fair to say that not all families will feel God calling them to homeschool, much less unschool. I do think we need to seek God in our decisions, and if we have found peace with our approach, and our family is not struggling, then that is how God intended our children to learn. That being said, I still think this book was worth the read for me! Overall, I felt fueled with ideas and hope as we head into the new school year, and I enjoyed the book as a whole. I think the target audience of this book is probably not the average homeschooler that is happy with their path, but more specifically one that is seeking change. It is for the parent who has a child that resists school. 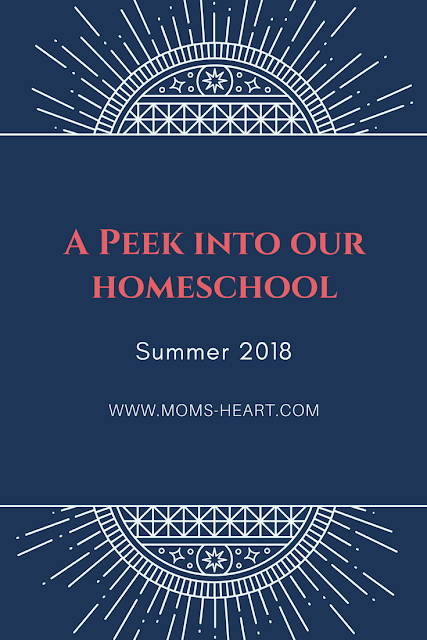 It is for the homeschooler who wants to break away from the school-at-home model with confidence, or the one who is curious about unschooling. I believe those are the ones who will find the most encouragement in this book! The e-book of God Schooling is currently on sale through for half price through August 22nd, 2018! The Homeschool Review crew is filled with parents from all walks of life that follow all kinds of homeschooling philosophies and methods, so I encourage you to check out more reviews of God Schooling: How God Intended Children to Learn. I skipped the regular monthly wrap-up for June, because we haven't been doing "formal" lessons. Instead, we have just been enjoying our summer break. I figured I should do a summer wrap-up though, since we're heading back into a traditional schedule soon. We've done the typical things, like playing outdoors and going to Vacation Bible School. Then we've had a few things that, even if not extraordinary, aren't necessarily part of the ordinary. This is Tux, Emory's new kitten. He is very friendly, and very tolerant of the kids. He's learning to tolerate Buddy, and this picture cracks me up because it looks like he's sticking his tongue out. We're saving our longer vacation for September, when peak season (and the hottest weather) has passed, but we did take a weekend getaway this summer. We went to Great Wolf Lodge for some water park fun . . .
. . . and to Loveland Castle for a fun history field trip. 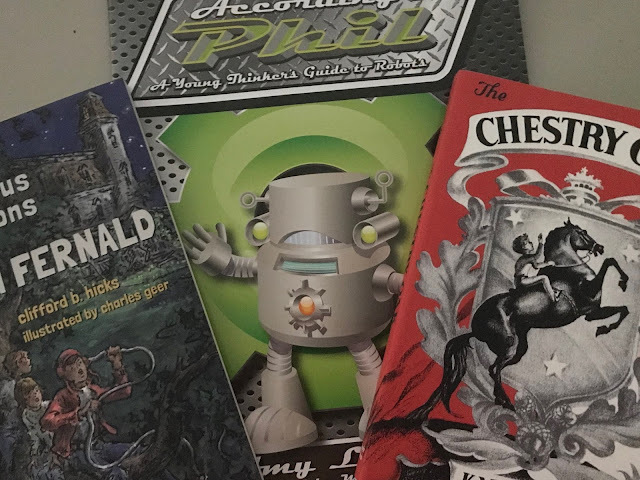 We've still gotten a few things to review here and there, including some books! I received a kid's CD for the girls, a bird book and an art book as well, that aren't pictured. We also reviewed Bug Bingo. Such a fun little game for bug enthusiasts, and even those who don't want to get up close and personal with real bugs. All of these are for the Old Schoolhouse Magazine website. This is the "master card" for the caller to track what's been called. This last book is for me, and I'll be reviewing it on the blog for the Homeschool Review Crew, so be sure to keep on eye out for it soon. Impromptu nature study, while watching a movie one night - Emory found this in the house. We had never seen one before, but found it's called the arrow-shaped micrathena. I promptly released it back outdoors! Oh, and one more thing . . . we got chickens! Someone told me you can't be a real homeschooler where we live without owning a few chickens. We live rural, and it feels like pretty much everyone that doesn't live in town owns chickens, especially in my homeschool circles. I have actually never owned any farm animals in my entire life, but my husband grew up on a farm and we live next to his parent's farm where they still keep chickens, among other things, so it's not really a foreign concept for us. So there it is. Summer's not over, but our summer break is. It wasn't anything fancy, just casual and fun and relaxed. Now, we're preparing to ease back into a traditional schedule. We have a longer trip planned in September, so I thought about waiting to start until after that, but we also return to start co-op that very next week. I feel like I'll be too scattered to come off vacation and start school at the same time, but if we start in August, I can try to iron out any wrinkles in our schedule. It'll also help break up the first term if we have a week off in there. So it won't be long, and I'll be posting about curriculum choices and schedules and my sweet Eleanor starting Kindergarten and all that fun stuff!